Last year – and even in 2016 – , there was a fair amount of new retro gaming news, with products such a Nintendo SNES Classic Edition or GameShell Portable Retro console, as well as community supported firmware such as RetrOrangePi 4.0. 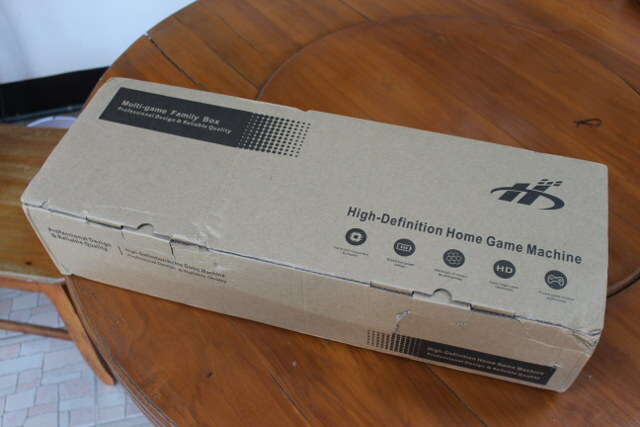 GearBest asked me if I wanted to review something a little different: Pandora’s Box 5S (aka Pandora’s Key 5S) arcade game console with 999 games most (all?) designed for two players. This looked fun, and I was particularly interesting in checking out the hardware design, and hacking potential, e.g. if there could be a way to replace the board or firmware with your own. So in the review, I’ll focus mostly on the teardown, before shortly testing out the system and a few games. The device comes ins a large package (~70 x 24 x 16cm), so I’m surprised customs did not ask any questions, and it just went through without any issues. 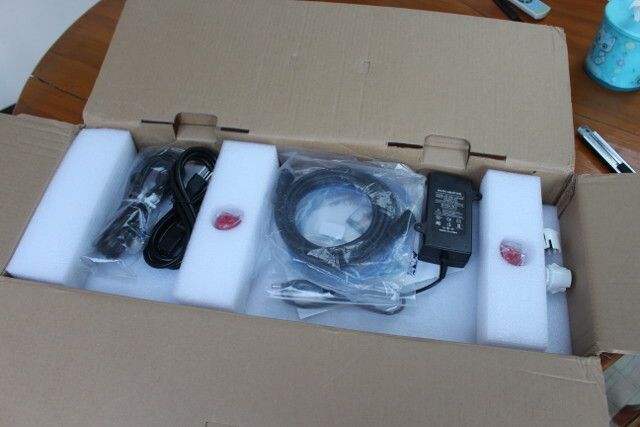 Once we open the package, we can see a bunch cables and accessories. 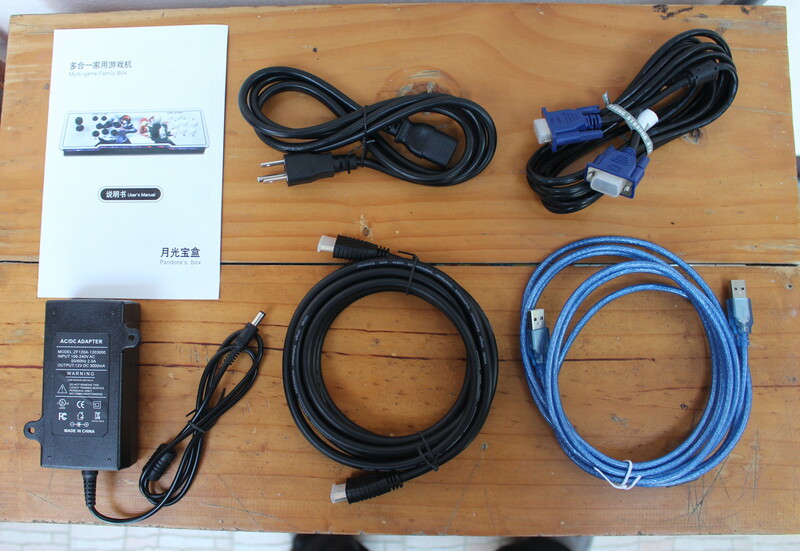 Those includes a bilingual (English/Chinese) user manual, 12V/3A power supply and power cord, VGA cable, HDMI cable, USB cable, as well as two spare gaming buttons (is that a bad or good sign?). Once we’ve removed all those from the package, we can take out of arcade game console itself with two sets of joystick, play/pause, player, and A/B/C/D/E/F buttons. 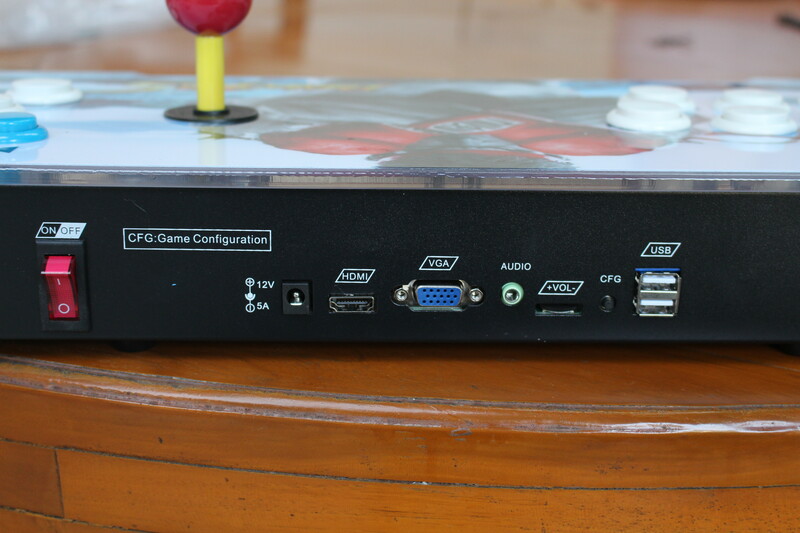 The rear panel comes with an ON/OFF switch, the power jack, HDMI and VGA video output, an audio jack, a volume rocker, a CFG button, and two USB ports. .. and open it up like a car’s engine cover. I used a chopstick to keep it open. There’s plenty of space inside the case, with the mainboard in the middle, and RGB LED strip, fan, and speaker on the sides, and fairly neat cabling. … while the left side comes with player 1’s inputs, and a fan. … an STMicro STM32F103C8T6 Arm Cortex M3 MCU likely used to handle I/Os from the volume rocker, buttons, and joysticks, a Lattice SII9022-ACNU HDMI 1.4a transmitter with 24-bit RGB input, and two more HC245 chips. 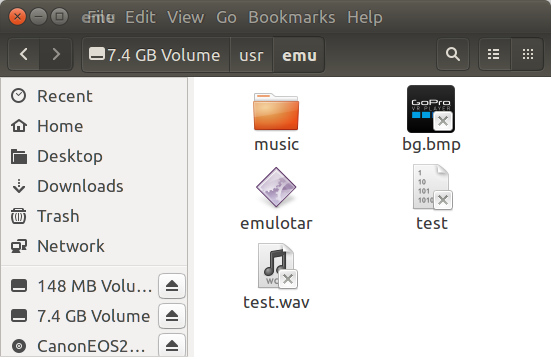 then a program called “emulotar” in /usr/emu. We’ll find some audio and photo files in that directory, but those are not used by the games. Instead you’ll find game data in /usr/sd/ with game data (roms) stored in zip files, and some avi videos stored in movies folder. Both need to be accessed as root. 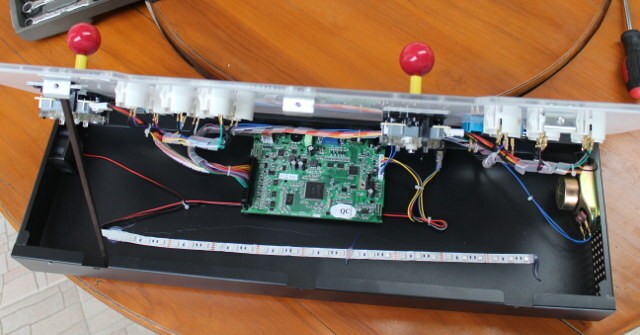 If you’d like to use the enclosure and buttons, and replace the board with something more powerful, you may want to check Grant Likely’s open source arcade control panel that appears to be using very similar buttons and joysticks, but with a custom wooden enclosure, as well as DragonBoard 820c board combined with STM32F3-Discovery board. ARMDevices.net has a video about his console that was showcased at Linaro Connect. Time to put everything back together and start playing. So I connected the device to the HDMI port of my TV, and the latter reported “Mode Not Supported”. Oh well, switching to VGA worked. Audio is going through the internal speaker, so I tried to connected my USB powered speakers to the USB port and 3.5mm audio jack of the console, and no audio from those external speakers, only from the internal speaker. Never mind, I could still play a few games as you’ll find out in the video below. The fan is not exactly quiet, but you may not really mind with the game audio, and noise made by kids or friends may cover it up… I go through the full list of the games at the end of video. I found at least two games I used to play when I was a younger self: Mortal Kombat and Bomberman. This should be a lots of fun for kids and adults alike. Just keep in mind that not all HDMI TV may support the game, so make sure you have a monitor or TV with VGA input as a backup. I was also unable to use anything else than the internal speaker for audio. I tried it on my other LG TV, and HDMI worked with audio, but the picture is not centered, and the left side is cropped out. I’d like to thank GearBest for sending Pandora Box 5S for review, and if interested, you can purchase it for $124.99 shipped. There are other Pandora’s Box 5S or Pandora’s Key 5S hardware around, but it’s often different hardware, some kind of DIY expansion, or a similar model as the one reviewed above but for a single player. 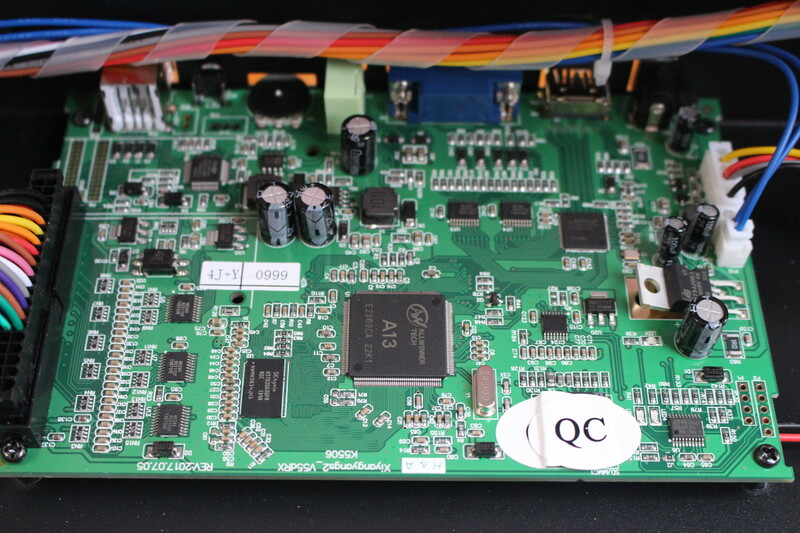 Want to know more about Arcade Jamma standard? Start at Wikipedia and search ” Japan Amusement Machine and Marketing Association ” for some history. Home made or moded consoles is popular hobby / business to some. It seems that this stuff is not 100% JAMMA compliant: it’s a sort of “CAMMA” (Chinese-JAMMA, since the ‘J’ in the original acronym stands for “Japanese”). I’ve read about some arcade-cabinets addicted people had to use a special adapter to make all the buttons work. Anyway, after a bit of investigation, I gave up since the onboard A13 simply can’t provide enough horse power for post 1984-1985 arcade games. Perhaps, a better solution would be the same sturdy enclosure with the same joysticks and buttons, intended to use in pair with an Orange Pi Plus 2E (same 2GB RAM, but quad-A7 H3 SoC). The (C)JAMMA connector only matters if you need to plug the cartridge version in a cabinet without too much hassle. BTW, just google for “Raspberry Pi inside Pandora’s Box” to have a nice idea about modding the pandora! The only drawback would be that you’re spending much more than you probably ought to for the case and buttons if you’re not using their board. It’d just be as easy to make your own with the right hardware and sturdy case construction with an OrangePI, NanoPI, or even RaspberryPI3. What part of it is JAMMA? JAMMA is a massive pitch edge connector with a few buttons and RGB video and not much else. Then you have USB adaptors, audio boards etc . You also have the choice of display type to chose VGA, CRT, HDMI etc . I don’t think JAMMA defines button sizes etc at all. Also JAMMA doesn’t define anything other than RGB AFAIK. For anything with VGA etc you’re talking vendor specific or JVS.. And I doubt this is JVS as that uses RS485. 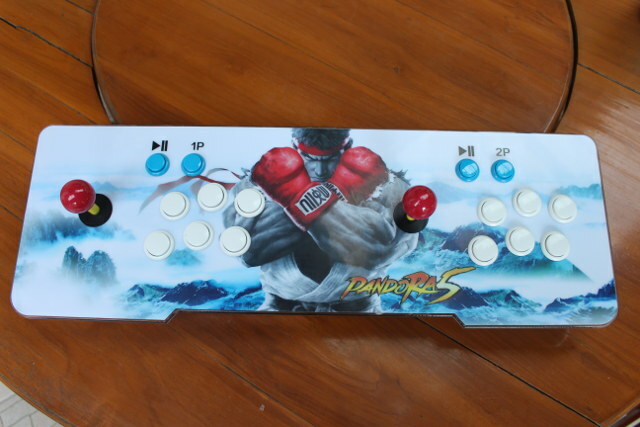 It’s a box with rip offs of the common Sanwa buttons and sticks. @dgp: this specific version has no JAMMA compatible edge connector. The original Pandora box is actually enclosed in a cartridge and has such connector. Just search for “pandora box JAMMA” on the usual “chinese express” site, and you’ll get tons of clones. and VGA or VGA+HDMI output, about $50-$55. it turns out that the sturdy metal enclosure, the PSU (we all know its expected quality!) costs about $40. Would we buy such a “raw” casing for those bucks? Jamma came about as a means for Arcade owners to reuse Arcade Games Cabinets, which reduced costs. There are many online posts documenting the sales history of Arcade Cabinets. 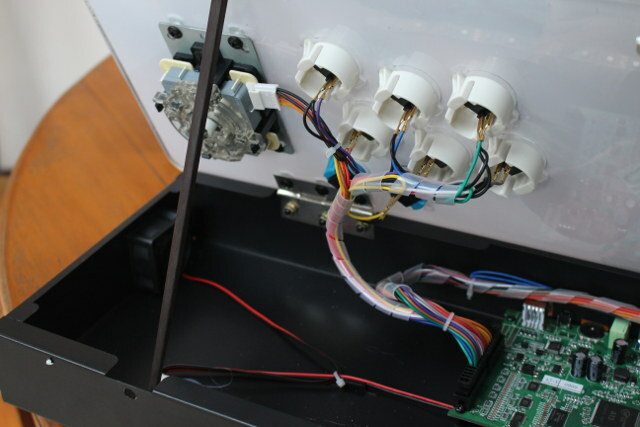 With the Jamma standard a Arcade owner could by new Joysticks or buttons and as long as they had connector that fitted to the Jamma harness and correct voltage they would fit and work. Remember Arcade Cabinet Games cost thousands and need a lot of money from game playing to recover costs. A cabinet you could remove old logos from, refresh signage, then re-apply new PVC logos to and pop a new game board in ways much cheaper. In China before Xbox, PlayStation where allowed on sale, hip Chinese dudes invited their friends round for a two player match on their home Arcade Console ( like in the review posted ). These console were sold in other countries where copyright was not enforced. There are many different Jamma Game boards produced and many button and Joystick makers but some only consider certain brands as true versions. Even the button layout can vary in design. You’re writing like you’re learning me something. I know exactly what JAMMA is. I live in Japan and used to have a pretty nice collection of CPS2, MVS etc games I bought in Akihabara. 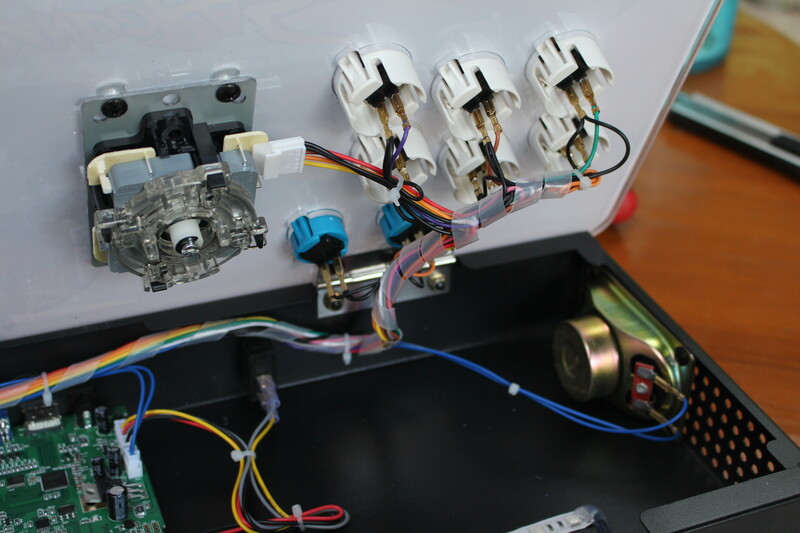 This is a PCB with clones of sanwa sticks and buttons. So it’s the same idea as on of the n-in-1 boards in a different case and they put “JAMMA” in the title on aliexpress to appear in searches. You talk about “addicted people” creating special harness etc.. um that’s pretty normal you know.. JAMMA gives you 3 buttons. The NeoGeo hacks on another button. Anything other than 3 buttons isn’t JAMMA and is either custom like the “kick harness” for CPS2 or is a more modern standard like JVS. Do you know what the usb ports are for? I can’t really think of a good use for those. I just used one to power my speakers. Those USB ports allow you to use this controller as a USB controller in a PS4, an XBox One, or a PC/Raspberry directly, using male-male USB cable to connect. That cable usually comes bundled with the Pandora Box. When you use it, the internal board is ignored, and the controller works just like any other dedicated one. hey what program do i need to look at the files on the sd card, is it Linux? The file system must be ext-4, so you’d either need to install something in Windows to read such file system, or install Linux as dual boot or in VirtualBox. i was bought a pandoras box 5s as a gift, it seems to be a slightly different model. Firstly, there’s no fan (should i be worried??) 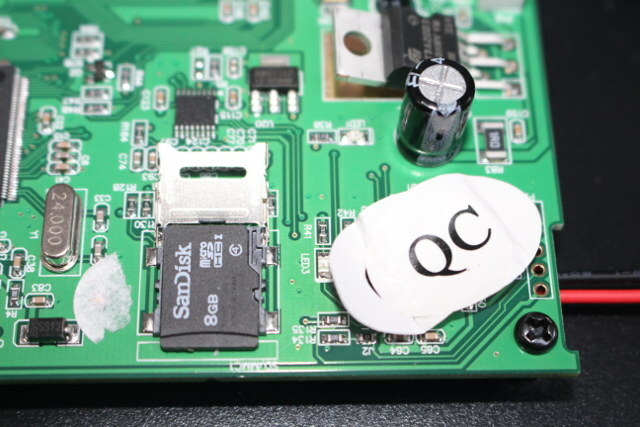 and there seems to me a mini SD card slot which was already exposed when i opened it up. 1. should i install a fan and if so where do i start? 2. can roms be added to the sd card and again where do i start? thanks, apologies if they seem like silly questions but i’m new to this. I’m not sure a fan is needed. If there’s no heatsink, then maybe add one of the processor, and other chips that may get hot. Check the temperature with an IR thermometer while running if you have one. I have not investigated whether it’s possible to add other games to the micro SD card. In theory, I guess you could, and you can see the folder and files in the post above, but I don’t know if those are “standard”. My pandora is an android and it doesn’t have a sd card..it glitched and now boots to what looks like a tablet screen. Is there any way to restore the original settings? Also I can’t control the “new” boot screen. If you have Android running in your Pandora, it must be a different model. So first, you’d need to find your exact model, then find the firmware to reinstall, or possibly a community with members having this model that can help you fix it. Sorry, I did not use it much, so I sold mine, and I did not make a copy of the micro SD card. My SD card no longer works and have no image backed up. If you don’t mind sharing the version you have, that would be nice! I speak Korean so that works. I dont believe this is a real or for lack of a better word an original Pandora 5s. The board is open . It should be in a blue enclosure I believe. Please tell me if I am wrong. I have had my unit for almost a year now. The emulation on 99% of the games is spot on. There is the odd version of games like Arkanoid where the controls are super sensitive and almost unplayable, as well as puzzle games in their native Korean or Japanese languages rendering them useless to an English speaking audience. But overall, the games run very much like they did back in the arcades. The sticks feel wonderful; firm, with satisfying clicks of the micro-switches. The buttons are functional, but seem to lack the quality of the sticks. There is a problem with the unit, however, and that is that there is simply far too many games to choose from! Almost 1000 games on the system, and I end up either scrolling through the menus for 15 minutes and deciding not to play anything at all, or choosing the half a dozen ‘favourites’ I always come back to. In hindsight, I was torn between the Pandora and a Raspberry Pi; I should have gone down the Pi route, reflecting on it now. Still, the Pandora’s Box emulates the arcade classics from the 70’s to the early 2000’s excellently. Could this be connected to a computer through the USB connection? I understand this can be connected to a computer to use it as an input device. Sabran de casualidad el porque de pronto se quedo el control totalmente a la derecha, si retiro el cableado de la placa y reinicio sigue igual, mucho agradecere si alguien sabe como correguir este problema. gracias. Hello, I lost the micro-SD of pandora, someone would have an image please? I’m wondering why you keep calling it a Pandora’s Box when the screen says Pandora’s Key. If I remember correctly GearBest and others used to sell it as “Pandora’s Box 5S”. I can see GearBest has changed it to Pandora’s Key 5S now, but some Aliexpress sellers are still using Pandora’s Box 5S.